Extensions are X specific plugins available for download for all customers with a validated purchase of X. You can easily download and manage all of your Extensions directly from the WordPress admin area under X. This article covers documentation for the Custom 404 Extension and goes into detail on certain features where needed. 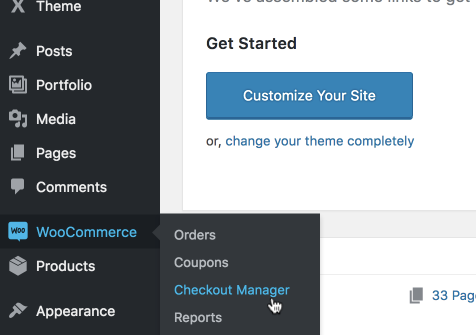 After installing and activating Woo Checkout Editor, you'll find its setting page under WooCommerce >> Checkout Manager. WooCommerce Checkout Editor allows you to modify and manage your WooCommerce checkout fields including removing default fields, adding new fields, re-ordering fields, adding conditional field displays and setting fields to require and non-required. 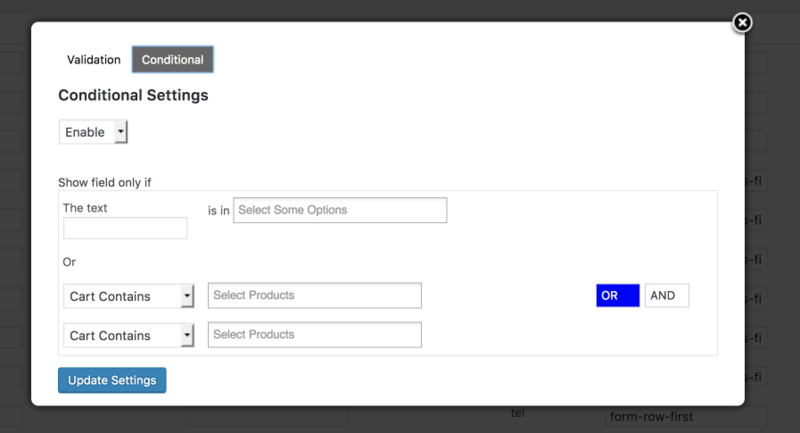 You'll see all the default WooCommerce checkout fields which you can edit along with options to add anew checkout field. You can enable a checkout field or disable a checkout field by changing the Enabled value to either Yes or No. In addition you can make a checkout fields Mandatory again by either changing the value to Yes or No. Setting Enabled to No on a checkout field will disable the checkout field from display on the front-end of your website. There are two tabs within the modal called Validation and Conditional. You can select the parent field to validate against and also enter your own custom Regex. Regex stands for regular expression. You can learn more about how to use Regex here. The first option is to only show the field if text is matched in other fields. For example only show the field if someone enters a role like wholesale in a are you a wholesale customer field. There are multiple ways this could be useful depending on the business. The next option is to only show the field if the cart contains or doesn't contain a certain product and to set that value to an AND or OR. If you want both values to match use AND. You'll need to enter the field name, the placeholder and of course select the field type. Also don't forget to enable the field. By default the value is no. You'll want to switch that to yes. With the Woo Checkout Editor it's not just the Billing Fields you can edit but also the Shipping Fields and the Extra Fields. Simply drag and drop fields into the positions you want. Once you're happy with everything click on Save Options and your new checkout will be ready!